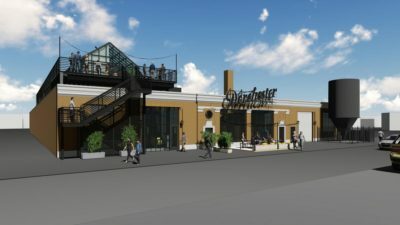 Dorchester Brewing Company, a craft beer bar and brewery on Massachusetts Avenue, is expanding to incorporate a larger tasting room, a restaurant, a glass greenhouse and a rooftop deck. The $3 million endeavor broke ground on April 2nd. It should be completed by October, according to Matt Malloy, co-founder and CEO of the brewery. 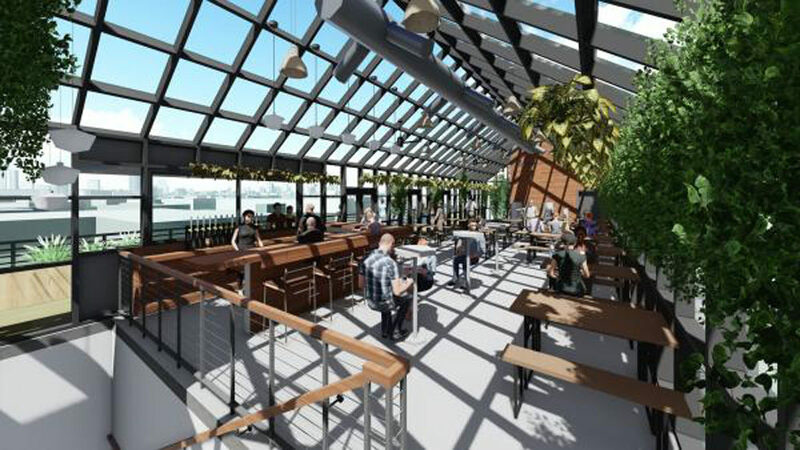 A 2,200-square-foot greenhouse, surrounded by the new roof deck, will have a fireplace, a beer bar and a view of the Boston skyline. Plants, including hops, will be grown year-round. Malloy described it as an outdoor environment to celebrate the four seasons. The expansion will utilize storage space and the rooftop of the existing building, which opened for customers in 2016 and has been a popular attraction in the neighborhood. Business will not be interrupted during construction. Malloy said his team has been thinking about the expansion since last spring and discussed the plan with the community to get feedback. “They’ve been great neighbors to us, and this is a great thing to give to the community,” Malloy said. WBUR and the Dorchester Reporter have a partnership in which the news organizations share resources to collaborate on stories. Jennifer Smith is news editor of the Dorchester Reporter.